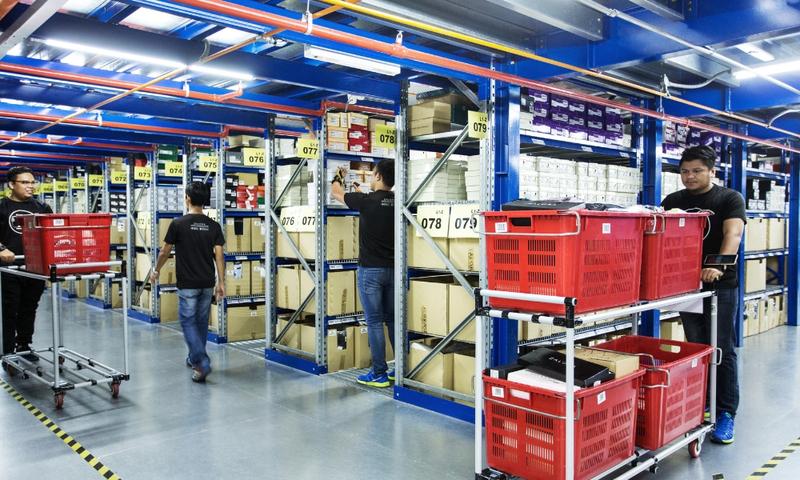 Zalora’s e-Fulfillment Hub was officially launched on March 3rd, 2017 and spans a total area of 470,000 square feet across five levels. The e-Fulfillment Hub facilitates the movement of fashion goods 24/7 across eight markets that Zalora is currently present in: Singapore, Malaysia, Brunei, Hong Kong, Macau, Taiwan, Indonesia and Philippines. The hub covers a total area of 470,000 square feet which is approximately the size of nine FIFA football fields, split across five levels. The e-Fulfillment Hub plays a crucial role in fulfilling thousands of orders per day and facilitating the movement of fashion goods 24/7 across eight markets that Zalora is currently present in: Singapore, Malaysia, Brunei, Hong Kong, Macau, Taiwan, Indonesia and Philippines. The hub was built and launched in 2017 and is part of Zalora’s efforts in building its e-commerce infrastructure from warehousing facilities to last-mile delivery fleets to ensure an optimum delivery experience for consumers across all markets. The Zalora team invested resources and time to develop in-house logistics and operations systems. 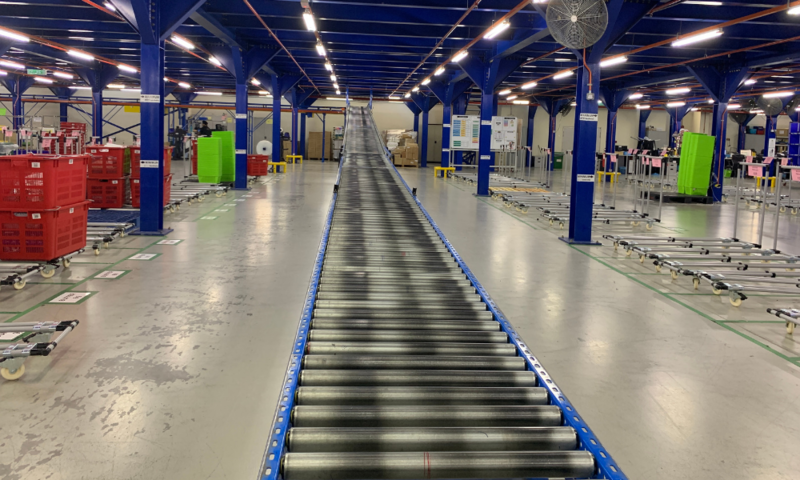 During the tour they showed us their mobile picking system, a customised solution that transmits picking information of customer orders through mobile devices, allowing greater scalability and on-time fulfillment. One picker is assigned to a particular section of a floor and receives orders to pick certain items that are located around the vicinity. All they need to do is just scan the bar code of the item and then insert the item into baskets called “totes”. Since the mobile picking system was introduced, picking productivity increased significantly and accuracy is now at 100%, due to the real-time item verification. During peak periods like the 11.11 Singles’ Day sales in 2018, the hub ran for 24/7 non-stop and had a total of 1,000 pickers throughout the period. According to Zalora, they mentioned that the picking rate was at 1 item per second. 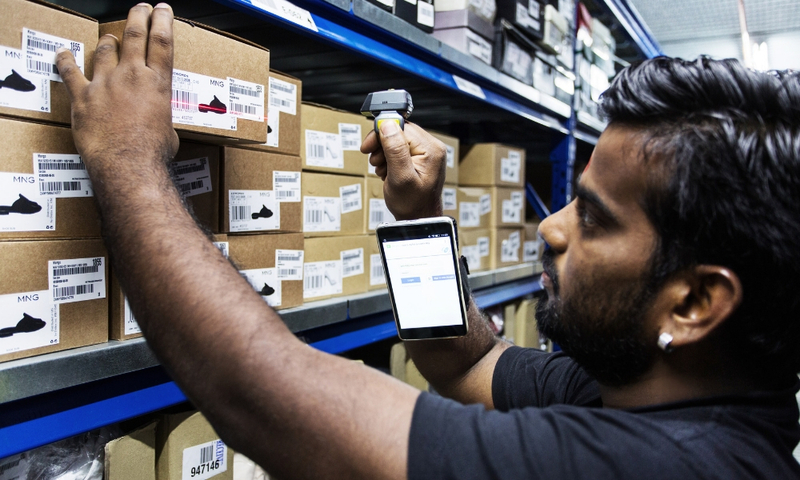 To complement the mobile picking system and process all orders in real-time, an in-house Order Management System (OMS) was developed for the Zalora Operations team to track movements of inventory into and out of its distribution centers, process orders, returns and refunds and manage their own delivery fleets. 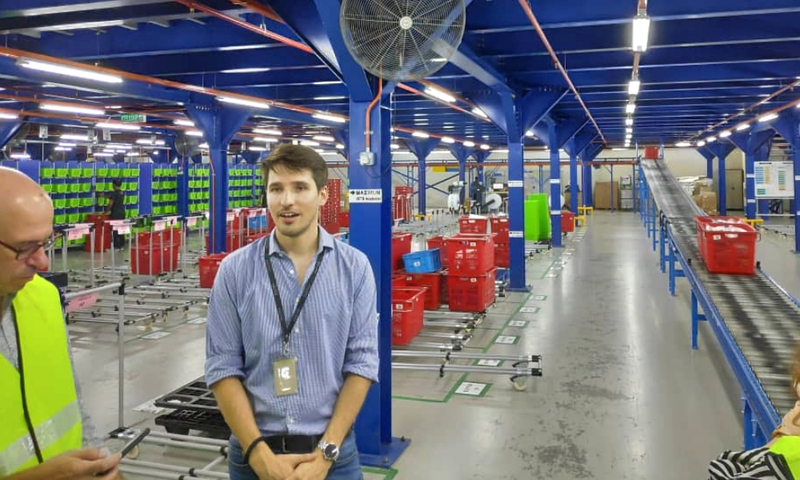 Speaking to Rostin Javadi, Zalora’s Managing Director who heads the brand in four markets—Malaysia, Singapore, Hong Kong and Taiwan—he pointed out that besides the IT systems, the warehouse is physically automated with about 250 metres of conveyor belts running through it. Part of the conveyor belts in the hub. It is the first warehouse of its kind in Malaysia to extensively use conveyors; others work with pallets. Given the type of items and orders that Zalora fulfills, rigging the warehouse with conveyors makes more sense for efficiency and cost. “We actually have a Kaizen programme, we try to find the continuous improvement champions who can come up with creative ideas and we try to encourage that,” Rostin said. The fulfillment center alone processes up to 100,000 items per day and has the storage capacity to hold more than four million items at any time. One of the main reasons why Malaysia was chosen as the location for Zalora’s e-Fulfillment Hub was that Zalora acquired the Authorised Economic Operator (AEO) status. The AEO status gives the e-Fulfillment Hub a form of an “express lane” at customs, making 24/7 cross-border movements seamless and helping the brand provide an even faster delivery for its customers. Cluster Operation Director, Vykintas giving media a tour around the hub. The facility’s strategic location and logistics capabilities make it possible for international brands to expand their reach into the Philippines and Indonesia. However, Rostin added that it was a challenge itself to expand to those particular regions as there are thousands of islands across the region. Other than that to overcome those challenges, according to Rostin it was more of increasing their Public Relations and marketing activities to raise the awareness of the online fashion shopping experience. “It’s a little bit different compared to other e-commerce shopping, explaining about how easy it is to return products; no questions asked, 30 days you can return the products if you don’t like it,” Rostin explained. Beyond that, the team also had to get the word out to customers who were located in more remote areas that don’t have access to big shopping malls. As for what they’ll be planning to do in the near future, Zalora will continue to work with their thousands of partners across the region and bring in more big brands and small entrepreneurs. “It’s very important for us to act as a catalyst or an enabler for the development of these brands, it’s definitely to empower local brands and partners that we work with and that’s a big part of our strategy,” he added. When questioned if they would venture out of different verticals, Rostin said that they will always try to maintain focus on fashion. “We don’t want to tread off too far from that line as from a brand standpoint, we don’t want to consume our customers as we want to be the destination where you come for your fashion needs,” he said. As for whether Zalora will be including e-wallets in the future, Rostin added that it’s definitely something they are looking at and are already in talks with a few operators, but have not decided on one. As for now Zalora will continue to focus on the Southeast Asian region and solidify themselves as the app or platform user go to for all their fashion needs. If you would like to find out more about Zalora, you can check out their website here.